Rice Street is finally turning into a happening “downtown” for our little island of Kauai. With the recent openings of Ha Coffee, Masa Sushi and now Kauai Beer Company (KBC), you can walk along Rice Street for an urban experience. KBC opened their doors with a soft opening last Fall (2013), brewing and serving up fresh beer at their location on Rice Street. Some of their brews are available locally at The Feral Pig and Nawiliwili Tavern. So what exactly is a microbrewery? A microbrewery, also know as a craft brewery, is a location where a limited amount of beer is brewed. Local breweries are typically smaller in size and independently owned. Independently owned breweries are often times distinguished by flavor and technique. If you are looking for a great place to hang out, meet friends, catch up with old friends or just stop by the tasting room for a quick drink after work, KBC is the place to be! 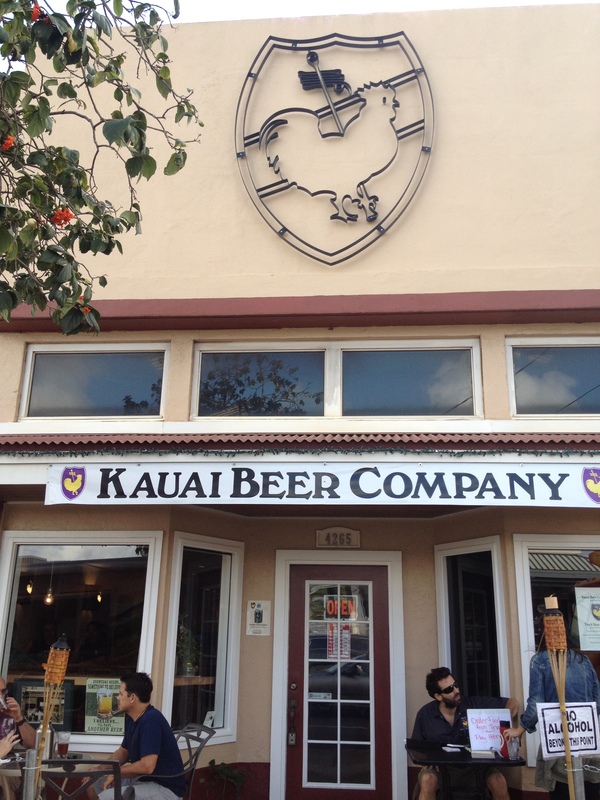 Bet you didn’t know how lucky we were to have a brewery on Kauai with a population size of only 69,000. 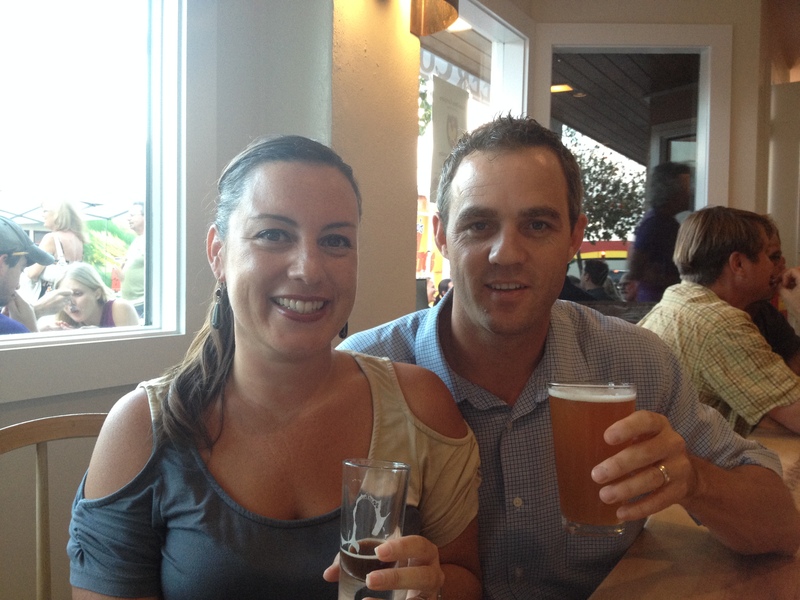 Rumor has it that Oahu doesn’t have a single brewery!!!!! Well, there you go. KBC is a family friendly environment with additional seating available outside. It is also the perfect spot for a date night. Be prepared for a packed house on Thursday evenings. I would recommend showing up just before 5 p.m. to reserve a table or it may be standing room only. I would also recommend ordering food from the food trucks shortly after they arrive to avoid long lines later in the evening. If you prefer sushi, walk next door and grab sushi to go from Masa Sushi to have with your beer. 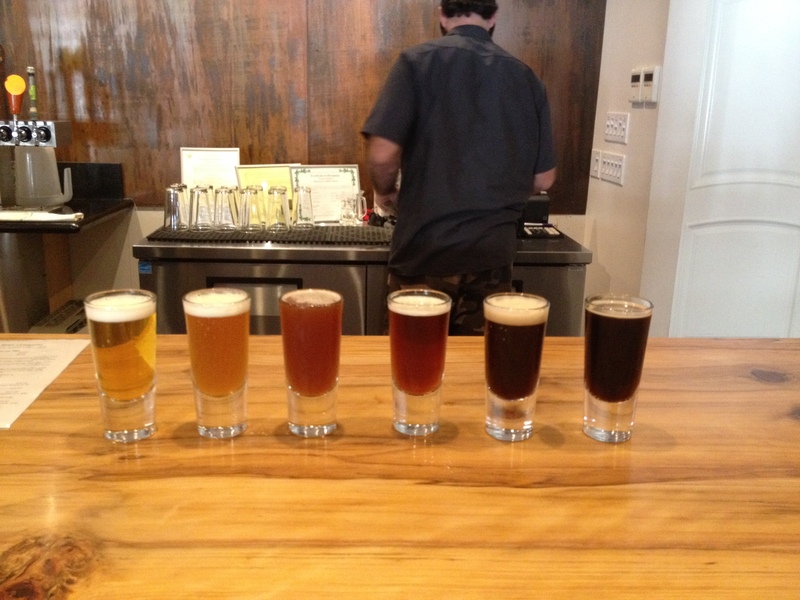 Let’s Talk Brews~ When you arrive, try out the 6 samplers, pictured above, for only $12 or $2 each. It’s a fun way to sit with friends and compare pallets. My two favs were the Lihue Lager and the Black Limo. 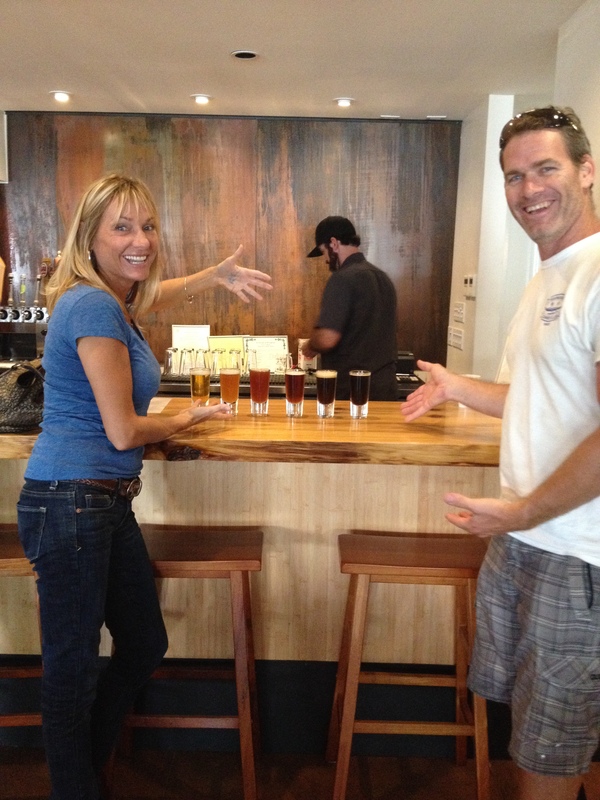 Beers are available in sample (4 oz. ), glass (12 oz. ), pint (16 oz.) and as refills (32 or 64 oz.) for the growler. Our special occasion beer, chocolate malt infused with 4lbs of toasted American oak chips. The gorgeous tables at KBC, which will catch your eye the minute you walk in, were carved from local Norfolk trees. The tables are beautifully carved, smooth and gorgeous to look at, making quite the conversation piece while tasting beers. There are tables for four people and larger tables which are perfect for groups. Food Truck Thursday Line up!! 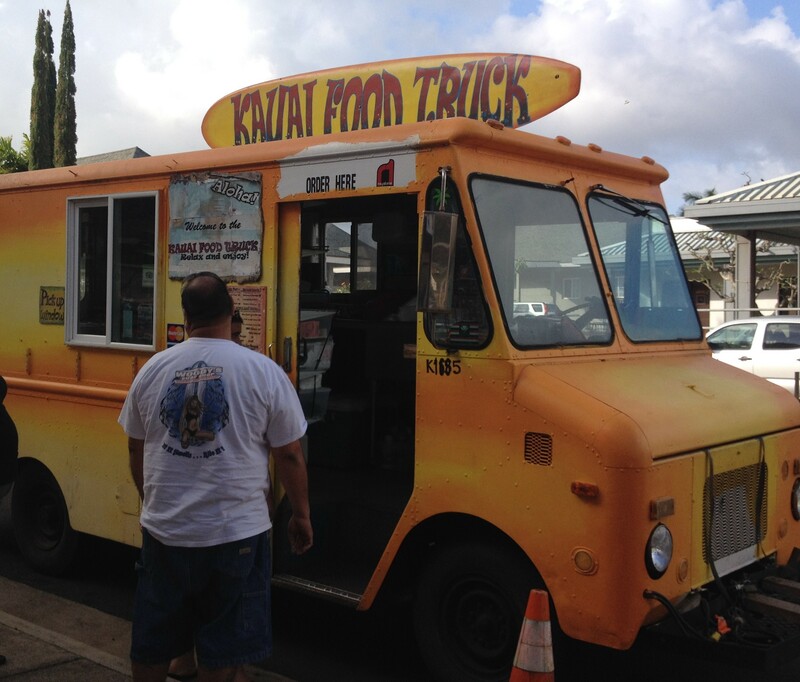 Kauai Food Truck– Kauai Food Truck serves up quality local seafood, shrimp, fish tacos and shave ice along with many local favorites . Striving to promote local business, they use locally caught fish and shrimp and as much local produce and products as possible. The Fresh Island Fish plate was amazing! 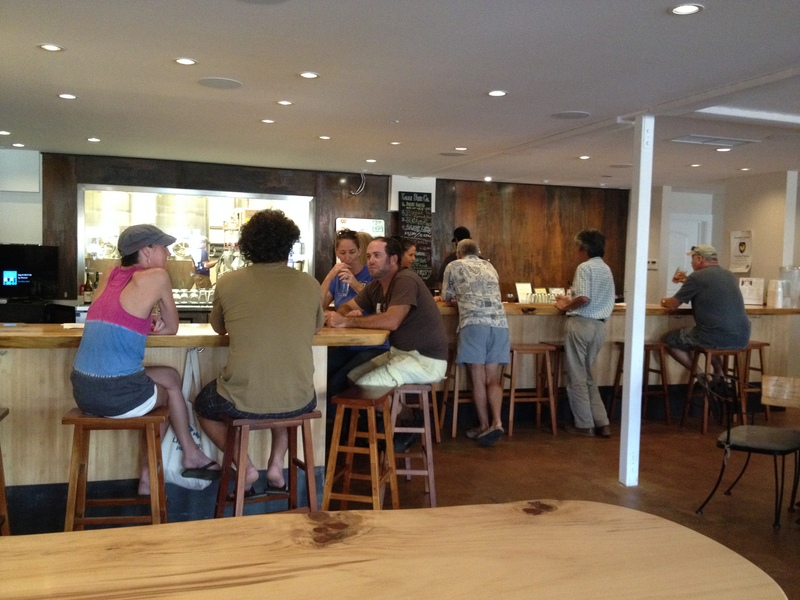 Gopal’s Creperie- One of Kauai’s few gluten free food options! The crêpes are also VEGAN!! 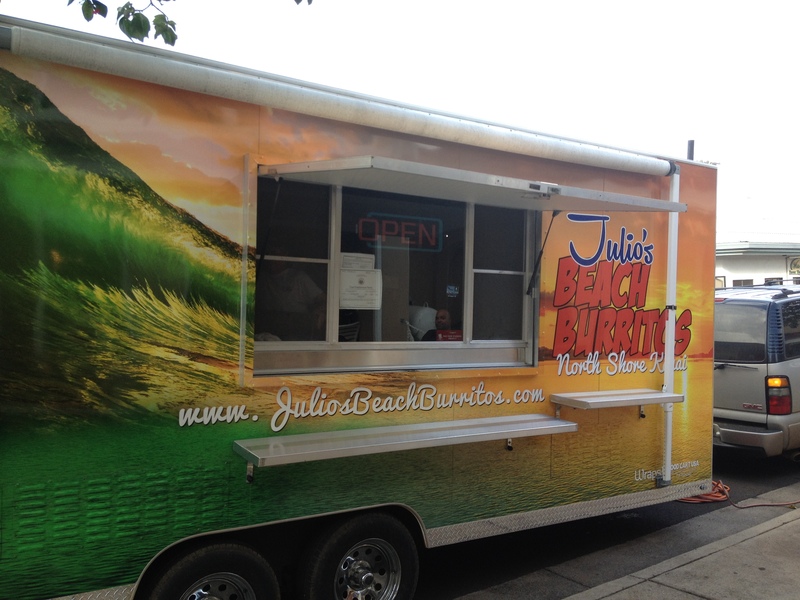 Filled with raw, vegan, and vegetarian options, they are made fresh and hot using locally grown ingredients. Loved by local repeat customers and tourists alike, you won’t even know they are gluten free! 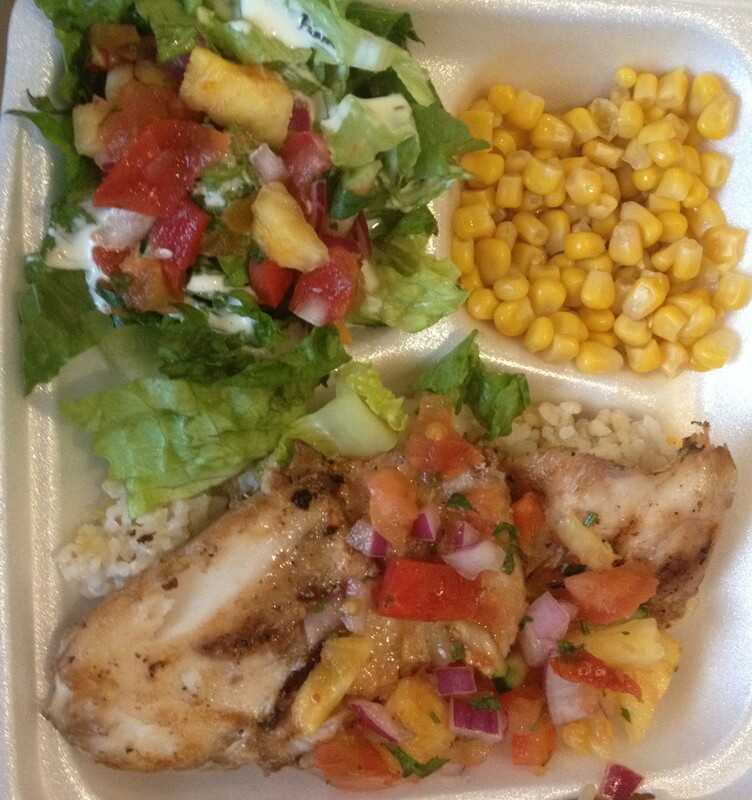 Rafael’s Aloha Tacos- This food truck can be found most days on the beach at Salt Pond in Hanapepe. We feature Al Pastor, Island Fish, Shrimp, Chicken, and Carne Asada Tacos and Burritos, as well as Chicken Mole and fresh Chili Rellano Plates. Little Greek Town– Authentic Greek food for vegetarians, vegans and meat eaters. Haole Girl Island Sweets- Haole Girl Island Sweets is best known for their stuffed all-butter croissants with sweet and savory local island products. 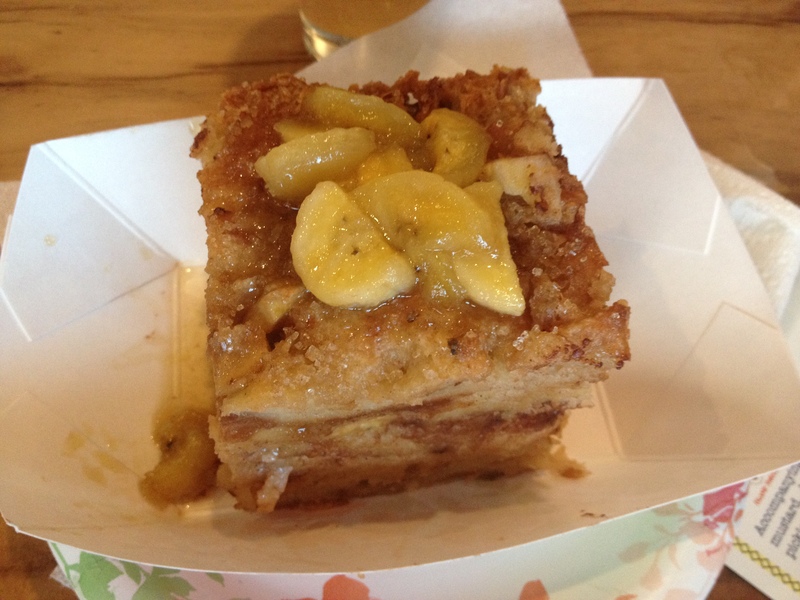 If you really need convincing, check out the picture above of the bread pudding. No words needed. It is the perfect dessert to share! We asked for four forks and dug in to this amazingly unique bread pudding served warm. I must add that it goes well with Black Limo beer. Forget wine pairing, let’s beer pair.